A strong culture of giving is critical to our ongoing success. Along with our families and friends, Atlanta’s community leaders have embraced our vision and understand that strong support is required in order to sustain Premier today and well into the future. Premier Academy provides educational programs, developmental intervention strategies, and resources to families regardless of their ability to pay. Revenue generated through fees, subsidies, and grants do not cover the total cost of educating our children, as the majority of our families are low-income. 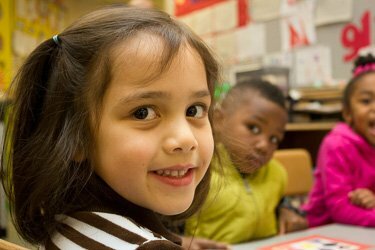 As in the case with most not-for-profit early childhood development centers, Premier Academy solicits contributions to cover the difference between these funding sources and the actual cost of educating our children. We greatly depend on our generous donors for support. Premier Academy remains committed to preparing our children for long-term success in school and to reach their fullest potential. Your gift is an investment in the future – for Premier and for all of our children. Your commitment of time, talent, and treasure allows us to continue our work of building and sustaining children, their families and the community. We are recognized by the IRS as a 501 (c) 3 organization, and your contributions are tax-deductible. Register your team now by calling (404) 366-3700. $500,000 from The Goizueta Foundation to support the CAMP program, childcare subsidies and succession planning/talent development.